My friend Holes showed me this ace thing that she had seen over on Pinterest. 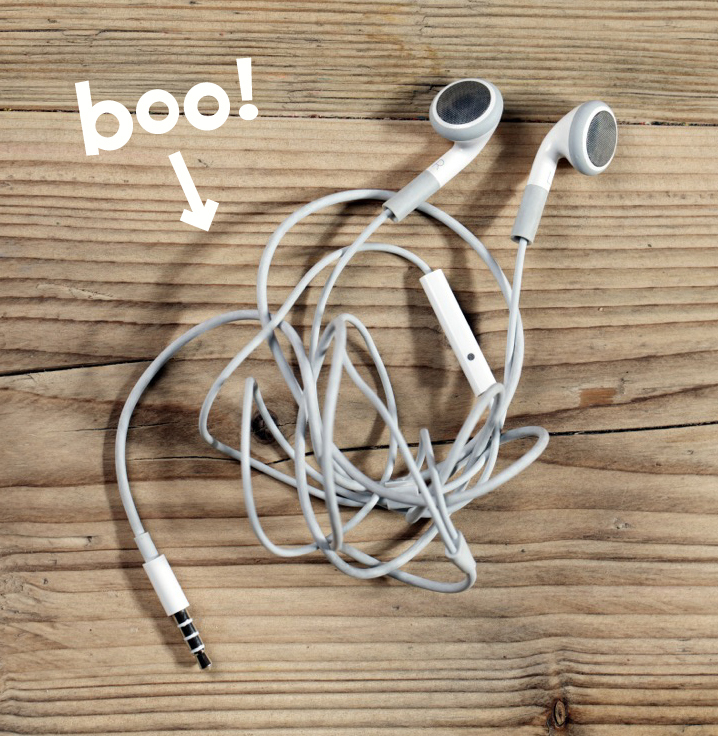 Yarn wrapped earphones. Genius. 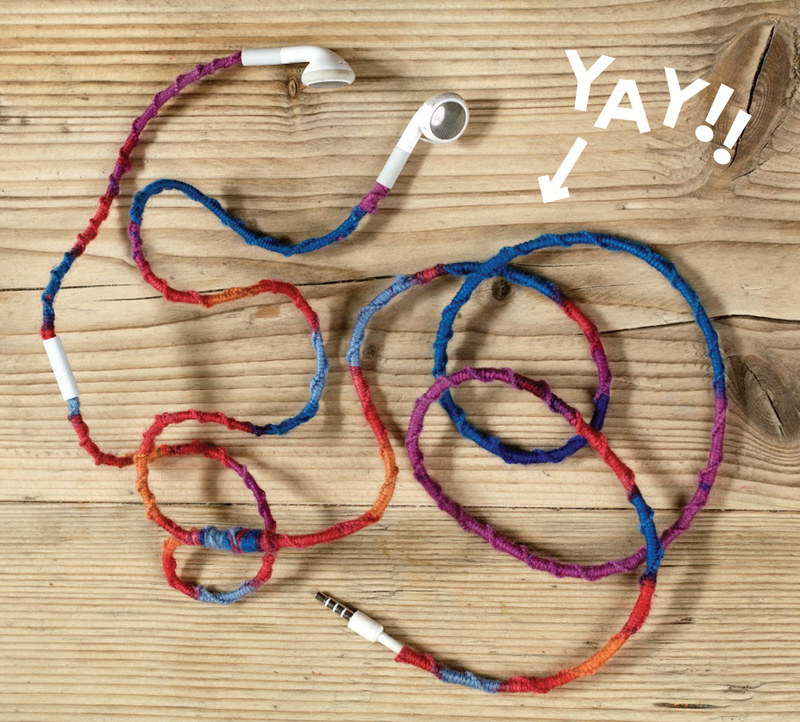 Not only does this little project make your earphones look way awesome, but it also stops the little blighters from getting all knotted up – HURRAH! It’s like a revolution in not-driving-precariously-whilst-untangling-small-wires all the time. You just tie the yarn in a series of knots around the wires like you’re doing a hair braid. I used some self-patterning sock yarn for these and they took approximately 2 episodes of Madmen to complete. Brills.